We have this ‘Once Upon A Time’ Character, Red Riding Hood Costume and all your other favorite Once Upon A Time Characters Complete Outfits. This is “Red” Lucas, better known as Red Riding Hood, currently known as ‘Ruby,’ and also known as ‘Wolfie,’ on ABC’s Once Upon a Time. Who is your favorite OUAT from ABC’s TV Series Character? We have Supreme Costumes or Economy Costumes for that. Get your favorite character’s complete outfits. Maybe you would rather mix and match costume or period pieces and accessories to create your own version of Fairy Tale, Fantasy or Storybook Costumes from our encyclopedic categories of historical era clothing and themed costumes. You may want to get just the pieces you need to build your own Once Upon A Time Character Costume. 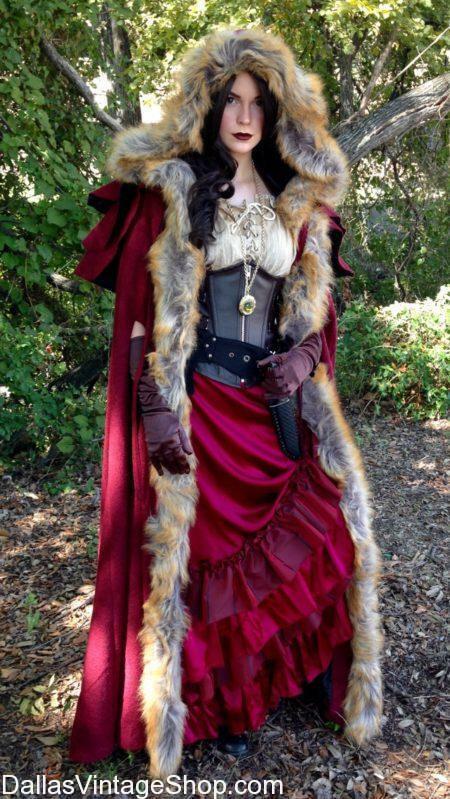 This ‘Once Upon A Time,’ ‘Hook’ Character Outfit is only one ‘Once Upon A Time’ Characters Costumes we keep in stock. Who is your favorite Hero of Villain Action Character from ‘Once Upon A Time?’ No matter what TV Show, Movie or Fairy Tale Character you like, we can outfit you for that. From Fantasy to Historical Period Attire, you will find complete outfits or just the accessories, wigs, makeup, weapons & garb to upgrade or complete your costume. 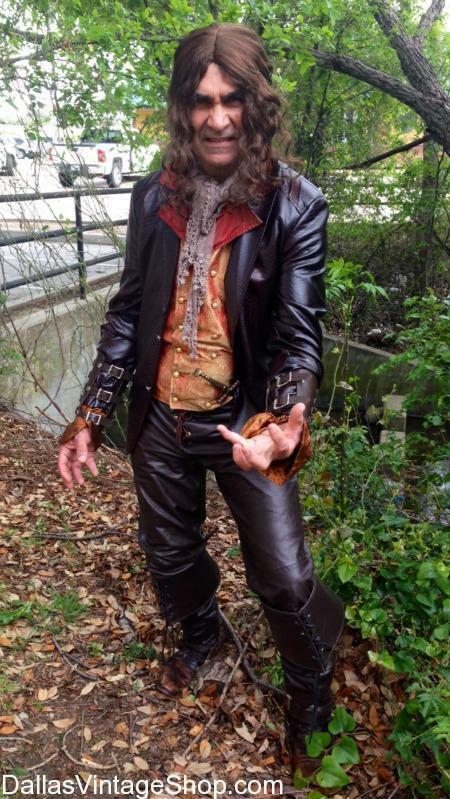 Get this Once Upon A Time, Rumpelstiltskin High Quality Costume or any other of your favorite Once Upon A Time TV Show Characters Complete Outfits. This Rumpelstiltskin, Once Upon A Time Costume is just a sample of the costume ideas we have in stock for you. We are open all year round and people travel from all over the country and even other countries to get their Costumes. 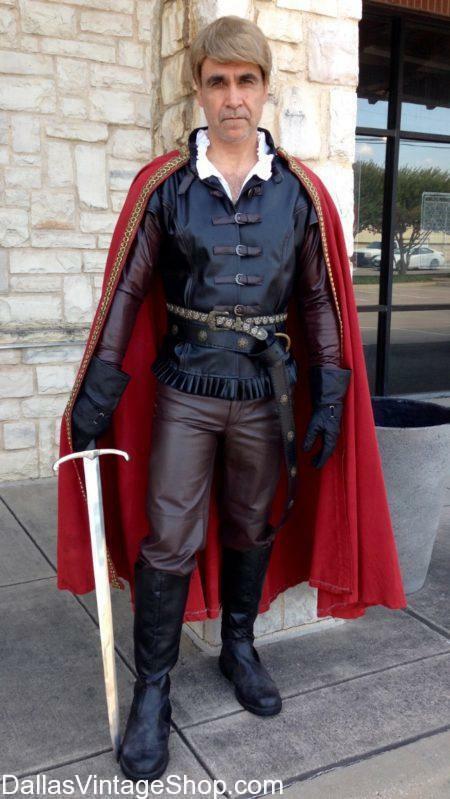 We can help you assemble any or all of your Once Upon A Time, Fairy Tale, Storybook & Fantasy Character Costumes for Theatrical Productions, Renaissance or Medieval Festivals, Cosplay Conventions, Once Upon A Time Theme Parties or for Once Upon A Time Halloween Costumes. Get the Period Complete Once Upon A Time Outfits or Costume Pieces from from any number of our hundreds of categories of Period or themed attire and accessories. From Supreme Quality Leather Once Upon A Time Garb to Economy Costumes for Adults or Kids, you will find what you need. You are in Once Upon A Time category.